The footage was captured by Irish journalist Colm Flynn while working on his documentary Finding Banni. CHERNOBYL HAS MADE headlines once again in the past few days as a massive containment structure is put in place to keep the radioactive remains of the nuclear power plant secure. The plant’s meltdown 30 years ago remains the worse civil nuclear accident in history and the effects still felt in the region. Several Irish charities have made efforts to make life better for the children in orphanages around the exclusion zone, with many being brought to Ireland for some respite. A RTÉ documentary this evening explores the story of one of these children. Banni arrived in Ennis, Co Clare one day to stay with the Flynn family as part of a charity exchange programme. Banni stayed with them for longer than planned, was baptised locally and enrolled in a nearby school. The family tried to adopt the young boy, but ultimately failed. Years later, reporter Colm Flynn has travelled to Belarus in an attempt to find Banni, who would have been his adoptive brother. 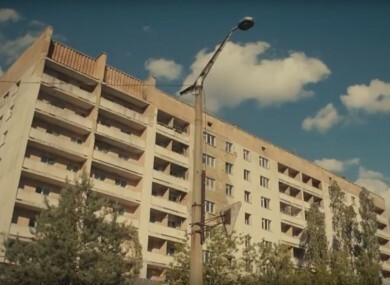 The exclusive footage above, which didn’t make the final cut to the documentary, reveals what it is like in the abandoned towns and villages around Chernobyl. Email “Frozen in time: Looking inside the abandoned towns inside the Chernobyl exclusion zone”. Feedback on “Frozen in time: Looking inside the abandoned towns inside the Chernobyl exclusion zone”.